The crew consisted of Elijah Akerley, Archer Braun, Cody Subido and Tadashi Yamaodaon a 7 day trip exploring the Japanese skate scene. The local 7Eleven was the cornerstone of our diet. In the States, that’s a recipe for disaster. But in Japan, prepackaged fish and other 7Eleven seafood plates void of the standard American preservatives kept us running strong. The risky purchases of unknown items often ended up being tasty treats with healthy dose of bowel movements that followed. Elijah wasted no time! Switch polejam at Powerbomb skatepark. Osaka homies (center) Hiroki “Tank” Nomura and Naoto Oda from Powerbomb skatepark. L to R Cody Subido, Natsuki Kinoshita, Archer Braun, Elijah Akerley and Tadashi Yamaoda. Archer gets aquatinted at the next spot. 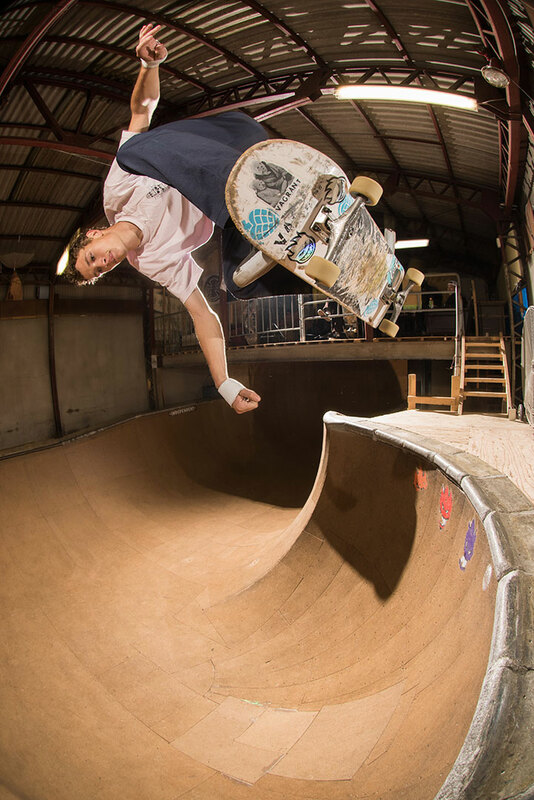 Backside floater at Backhand skatepark. Cody covered some ground with this ollie in the city. 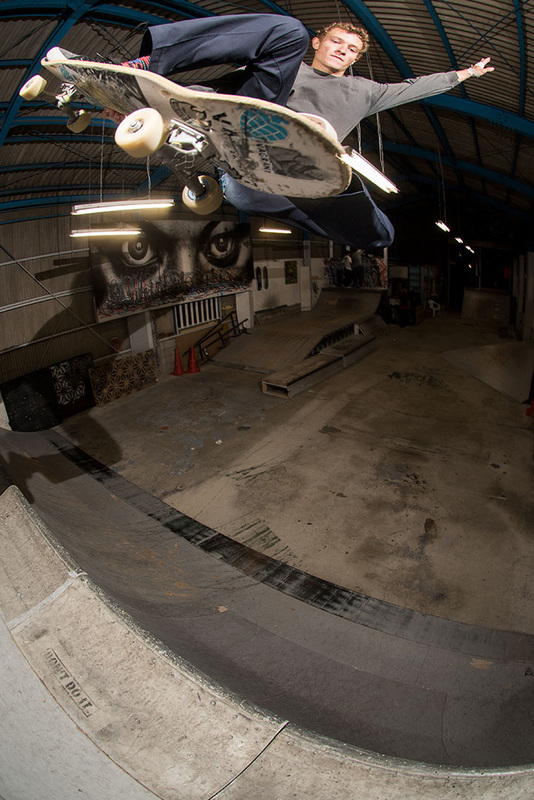 We ended the trip with a big session at Hell Camp located at Naoto’s family property. The event was promoted, and there was a solid turn out. Despite the bone chilling temperatures! The crew pushed through on the final day shutting it down with a couple campfires and a few new friends. The skate scene in Osaka and its surrounding areas is strong. Regardless of any language barrier, at the end of the day we are all doing and loving the same things. The hospitality Japan showed the crew went above and beyond. We love you Japan!